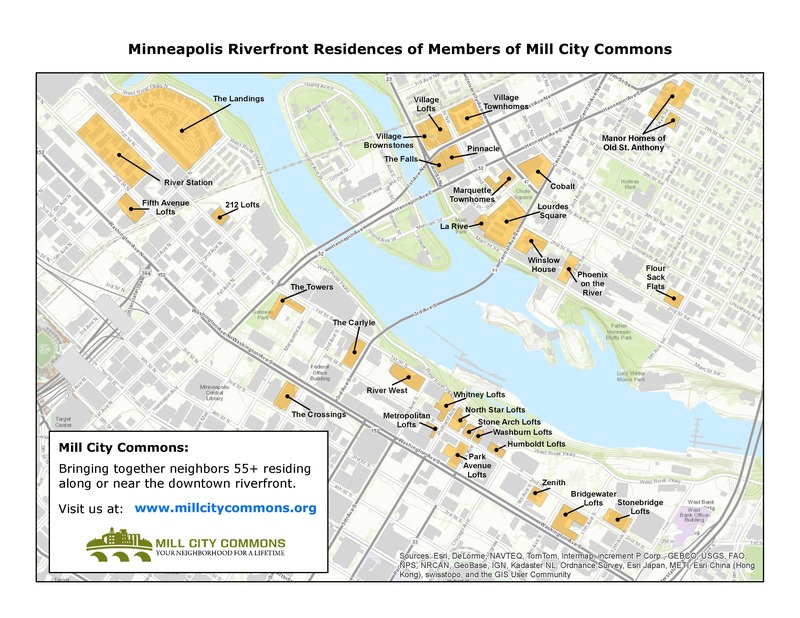 In 2008, Mill City Commons was incorporated and membership kicked off. One year later, the organization was publicly launched and programs began. Here are a few anniversary highlights over the past ten years. Members enjoy a Nosy Neighbor Tour. MCC’s Great Decisions program launched 10 years ago this month. We've discussed nearly 80 topics in that time period. Mill City Commons has been offering "Nosy Neighbor Tours" in the area since its first year in 2009. 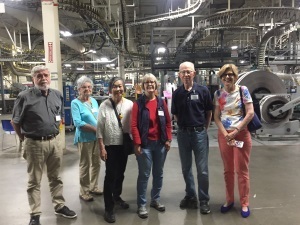 This month, we're touring the Star Tribune Heritage Printing Plant. 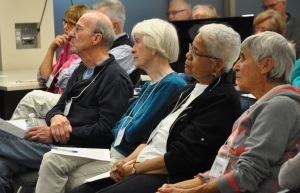 Our membership has grown, in large part due to a wide array of programming and opportunities to connect to others in the neighborhood. Two years ago, MCC broke the 200 mark for number of members. We have steadily grown since then. MCC's original website was launched ten years ago, but our updated website went live five years ago this month. 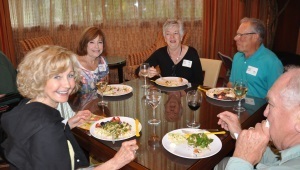 Members enjoy good food and conversation at a Soiree. MCC hosted its first Technology Help Desk 9 years ago this month. This popular offering gives members a chance to meet with a tech expert to ask their nagging technology questions. January 2012 was the kick-off to MCC's first Sunday Soiree. Since then, more than 65 Soirees have been hosted. A map of riverfront residences of MCC members. MCC filed its Certificate of Incorporation 11 years ago on December 21, 2007. The majority of MCC members—over 90%—live in 30 buildings along or near the riverfront in downtown Minneapolis. 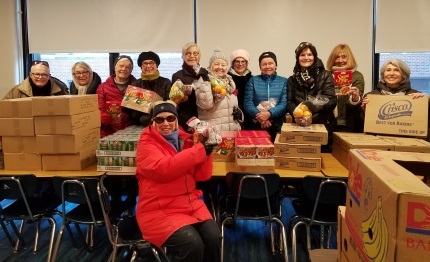 Members participate in the annual Turkey & Extra Helpings drive. Members launched their first “Turkey, Dressings and Extra Helpings” holiday drive in November 2007, before MCC started. To date, the drives have collected more than $30,000 to feed families during the holidays. More than 200 villages have formed across the U.S. since the first village in 2002. MCC is the only developed village in the state of Minnesota. Members at the 2018 Village to Village Gathering. The first Village to Village Conference was held 10 years ago in Boston. 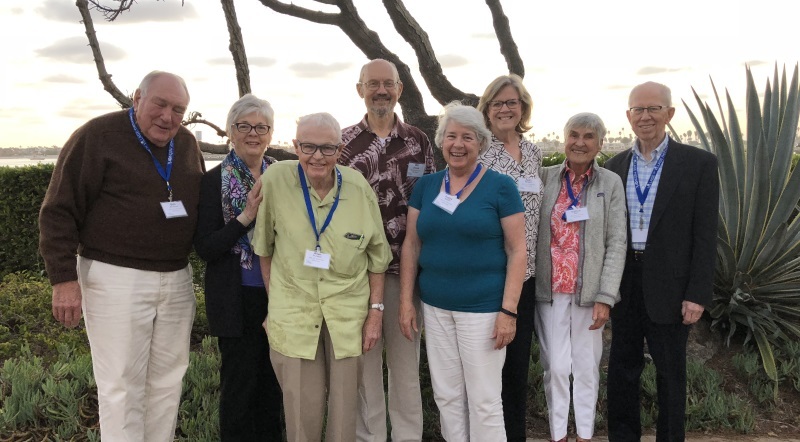 This year, 8 members attended the gathering in San Diego. The first gathering of Our Turn was 5 years ago this month on October 31, 2013. Members tour the TPT studios at an After Hours Connect event. 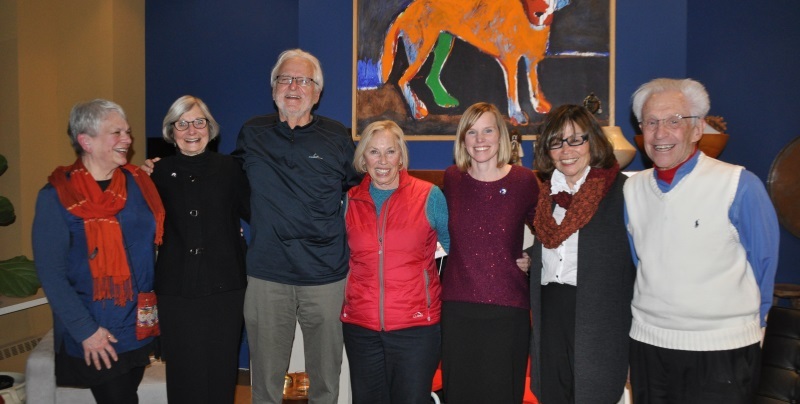 MCC’s Guthrie play-reading program started 9 years ago this month. The first play: “The Importance of Being Earnest.” Today, 25 members participate in the program. A new program open to all but designed to accommodate those still working full time--After Hours Connect--was offered for the first time a year ago this month. Returned Peace Corps Volunteers share their stories. 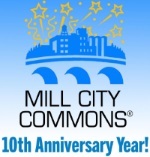 MCC’s weekly enewsletter, Mill City Musings, launched 9 years ago this month. MCC members are diverse, but some also have common experiences. At least 8 MCC members are former Peace Corps volunteers. Mill City Commons Launch Party in 2009. MCC held its public launch event on June 17, 2009, at the Phoenix, and 131 people attended. Bridge-loving MCC members have been bidding, trumping and winning in monthly gatherings since May 2009.